The French Press Coffee Maker will brew 20 oz. 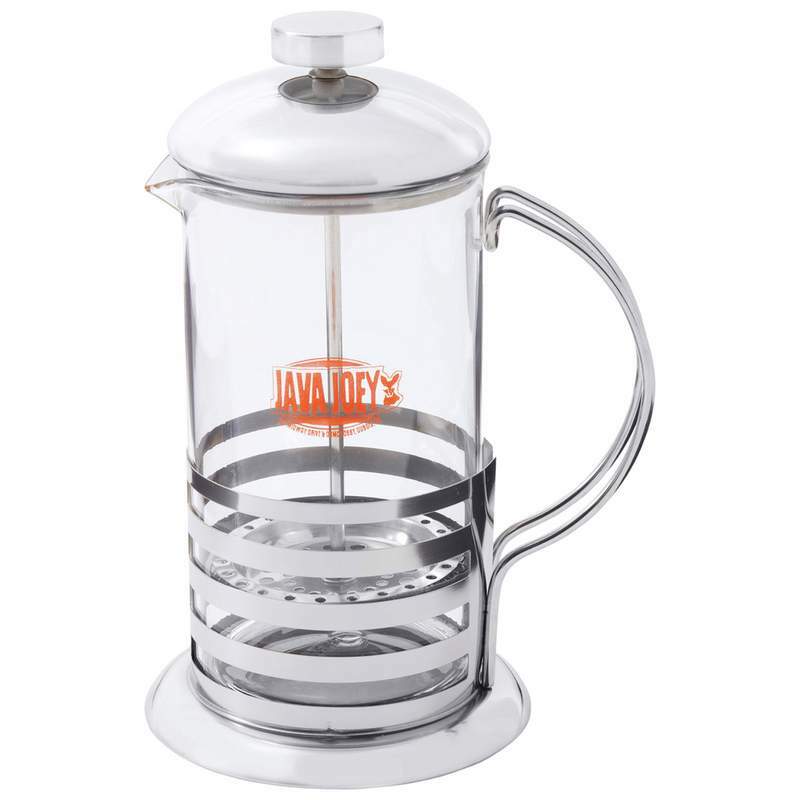 The clear glass carafe is dishwasher safe and heat/cold resistant. The carafe frame holder features a stainless steel design finish that is both elegant and stylish. Measures 6" x 8-1/4" x 4-1/2". Gift boxed.